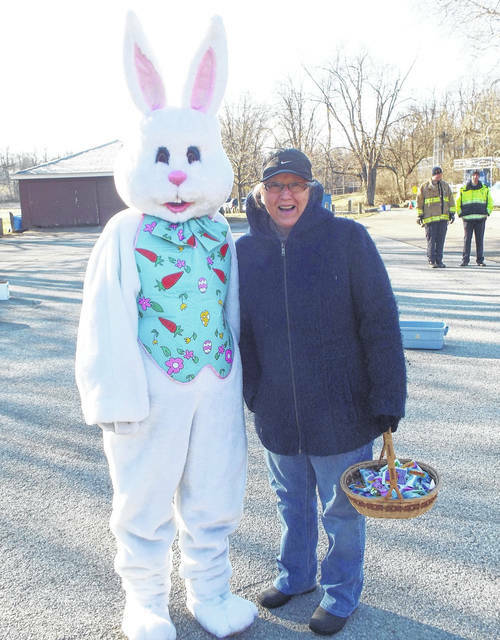 Nancy Bertling poses with the Easter Bunny during one of the city’s past Easter Egg Hunts held at Hardscrabble Park. CLAYTON — Starting as a part-time employee n 1991, Nancy Bertling has always been ready to provide a helping hand and smiling face to anyone who walked through the front doors at the Randolph Township Center or Clayton Government Offices. At the end of March, Clayton staff, former co-workers, family and friends wished Nancy the best of luck as she entered retirement with many great memories from not only the office, but from the Clayton community as a whole. Reminiscing on her time working for both Randolph Twp. and Clayton, Nancy remembers the township offices being in the little grey building where the Council Chambers are now located. She also remembers the township transitioning to become the City of Clayton in 1998 and becoming a full-time employee the following year. Everyone at Clayton holds the same sentiment about Nancy and she will be dearly missed. Good luck Nancy and don’t be a stranger!